Add quality and productivity to in-house production printing up to 44" wide. Enhance performance in proofing, photography and even fine art with UltraChrome K3 ink and Vivid Magenta technology. This professional A0+/B0+ printer adds impact and productivity to larger scale retail, design or presentation materials. It combines speed and reliability with superb, consistent colour from UltraChrome ink. 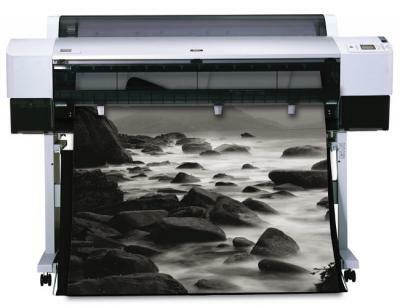 A wide-format EPSON plotter can print on roll and sheet carriers photos of wide format, reproductions, posters with an excellent colour rendering and for a minimal cost price. The print quality of EPSON plotter is guaranteed by an eminent manufacturer, while the economy on printing is provided with a pre-set continuous ink supply system. Also check out canon printer with ciss Louisiana. On this page different lines of EPSON plotters are presented. Here you can find devices of Photo series for photo processing, Office series for an office use, and Pro series. 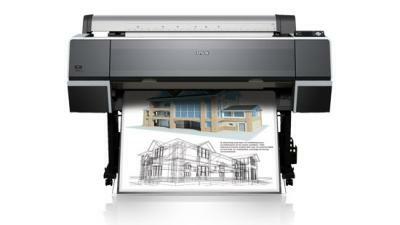 EPSON Stylus Pro plotters provide a professional print quality. It is very convenient to work with the devices of this series. Wide-format EPSON plotters of this line give a lot of opportunities for use. Printing devices offer several variants of carrier loading and are equipped with a system of colour management, as well as HP plotters. 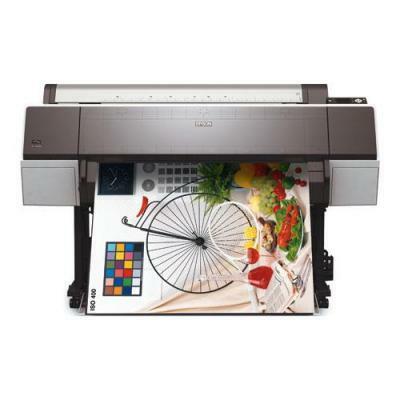 A wide-format EPSON plotter helps designers to print unique things, comparable with real pieces of art. Bright posters, unique author's reproductions as well as many other things вЂ“ all this can be printed with EPSON plotter in excellent quality. Printing devices for photographers and designers have an extended print system and a special technology of ink dispersion. 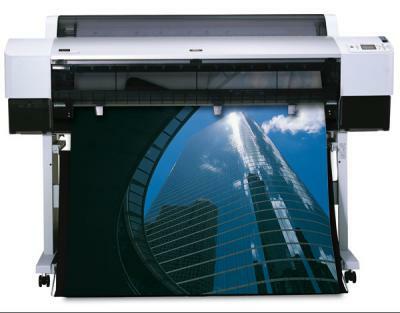 We also offer hp large format plotter Texas. In engineering organizations wide-format EPSON plotters can print even complicated CAD drafts, POS-materials and sketches. Thanks to printing with tiny drops, even the thinnest lines are clear and accurate, while all marks and notes вЂ“ distinct. EPSON Stylus Pro plotters as well as Canon plotters are used by architects, designers and electronics engineers. EPSON plotters let combine high quality with economy. 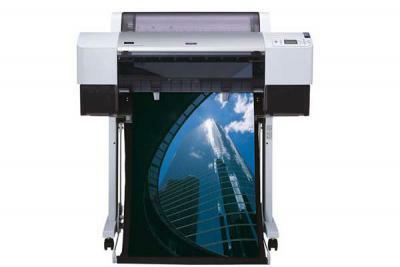 Users of these printing devices have already convinced themselves that even a wide-format printing can be affordable. 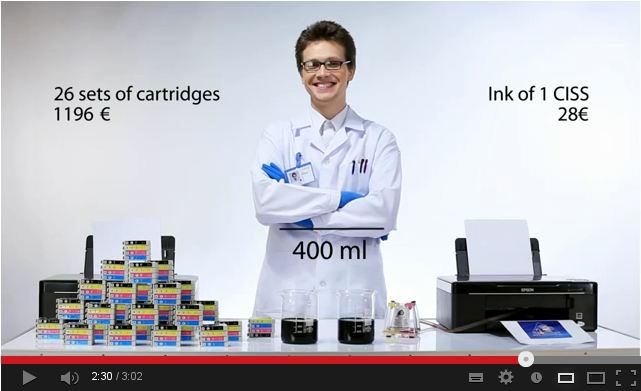 Each EPSON plotter on the site inksystem.biz is equipped with a continuous ink supply system. Thanks to CISS, wide-format printings are 25-30 times cheaper than the same printings produced with the help of original consumables. 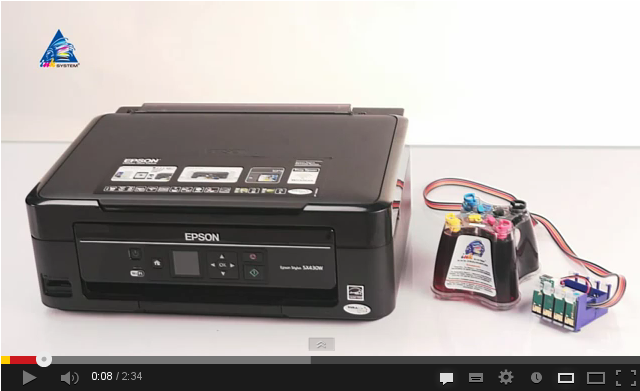 EPSON plotters with CISS вЂ“ a high-qualitative printing for a minimal price. Also offer canon plotter printer Wyoming.